Choosing a contractor for anything is a deceptively difficult task. None more so than with fencing, which can have its fair share of dodgy dealers. 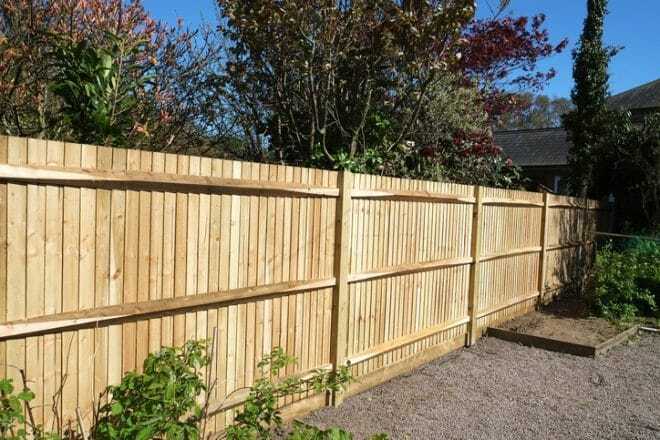 Typically, when you’re on the phone with a prospective fencing contractor, there are a few “tells”, which can help you determine whether or not the person you’re dealing with is a good fit – who’ll get the job done right. All of these qualities are a good thing. In fact, they’re a must, regardless of the contractor you end up with, they should all have those traits. However – despite being a little bit more boring – the most important thing your contractor needs to have is appropriate industry licenses and registrations. Beyond just the basics – such as your contractor having their own ABN and business address – it’s essential that your contractors have a suite of industry-leading accreditations, licenses and registrations. Industry licenses are the best means of instantly ascertaining the quality of a contractor. They provide a benchmark, an industry standard, which ensures a minimum standard of service. While there are definitely many proficient, high-quality contractors out there without industry licenses and registrations; unfortunately, it can just be too difficult to determine whether or not they’ll be a good fit. It’s far more effective instead to opt for someone who holds those accreditations – it’s a time-saver for you. Getting anything built is a long enough process, without having to factor in the time it takes to select the person for the job. Most states don’t typically legislate professional codes of conduct and standards for contractors. This means that the field is frequently unregulated, and that it falls onto private professional bodies to provide the standards which others should follow. Here at Everlast, we’re a registered building practitioner. We’re also proud members of Master Builders Australia and the Housing Institute of Australia. We’re industry leaders, and our partners are too. Master Builders Australia has over 32 000 members – and is continually growing. It’s rapidly establishing itself as the standard-bearer of the industry. Any contractor associated with Master Builders is worth your time. Master builders are required to use the best tools and materials in their work, and have a strict code of ethics they need to abide by in order to register and stay registered. This ensures that your contractor will both themselves and their work to the highest of standards. As a registered building practitioner in the state of Victoria, we have a few exclusive rights, that wouldn’t be available to us otherwise. Most notably among these, registered building practitioners are the only people who are legally allowed to handle building contracts of $10 000 or over. That means that if you have a big job, you need to ensure that whoever you contract for it is registered. Another benefit is the peace of mind that comes from knowing that the contractor that you’ve selected has handled big jobs before, and should find your project easy to complete. Finally, as the official body of Australia’s home building industry, the Housing Institute of Australia is an invaluable seal of approval that every contractor should seek to have. Not only does it demand that every contractor member be insured, it also does an enormously beneficial job in promoting and maintaining industry standards across the country. As holders of these licenses and registrations, Everlast combines this cutting-edge industry accreditation with our over 20 years of experience in the building space.